In the aftermath of their clash with The Beast, Quentin and his friends scramble for a new plan; Julia and The Beast strike a dangerous deal. Quentin, Alice, Penny and Margo seek a new weapon; Eliot struggles with being king; Julia and The Beast find an unexpected ally. Quentin and friends prepare to face The Beast again; Julia conspires with The Beast and their new ally to lure and trap Reynard. Quentin and Penny embark on a quest; Margo works on a way to help Eliot; Julia seeks an old friend's help. Quentin adjusts to his new life; Penny seeks help from an unexpected source; Eliot and Margo contend with the dangers of ruling; Julia and Kady discover another consequence of Reynard's attack. Quentin strives to help a friend who is suffering; Eliot and Margo's negotiations take a shocking turn; Julia and Kady discover a possible key to stopping Reynard. Julia and Kady enlist Quentin, Margo, Eliot, and Penny for a magical heist. Margo feels the pressure of ruling; Julia's friends question her behavior; Quentin faces the repercussions of the deal he made; Penny finds a way to help Kady. Quentin nears what could be a dead end to his problem; Eliot risks his life for his kingdom, and Margo makes a costly bargain to protect him; Julia, Kady and Penny find a possible ally. Quentin helps Julia with her search; Eliot attempts to win over his people as Margo tries to keep a devastating secret; Penny and Kady become caught between two magical factions. Quentin and Julia undertake a difficult journey; Eliot faces mounting catastrophes in Fillory; Margo attempts to fix the bad deal she made; Penny finds a new ally. A group of twentysomethings studying magic in New York discover a real-life fantasy world that poses a great threat to humanity in this drama adapted from Lev Grossman’s book series. The Brakebills students struggle to deal with the aftermath of a catastrophe that befalls the university. Back in Brooklyn, Julia makes her first foray into the mysterious world of Hedge Witches. Alice ends up risking everything to discover the truth behind her brother's disappearance. Quentin and Julia are involved in a volatile reunion. Quentin panics when he wakes up in a mental hospital. Meanwhile, upset over her fight with Quentin, Julia commits herself to learning more powerful spells. The students each deal with a personal matter that keeps them from focusing on the upcoming Welter's Tournament. The first-year students face something called "The Trials," a series of unconventional and emotional tests, which result in expulsion from Brakebills for those who fail. 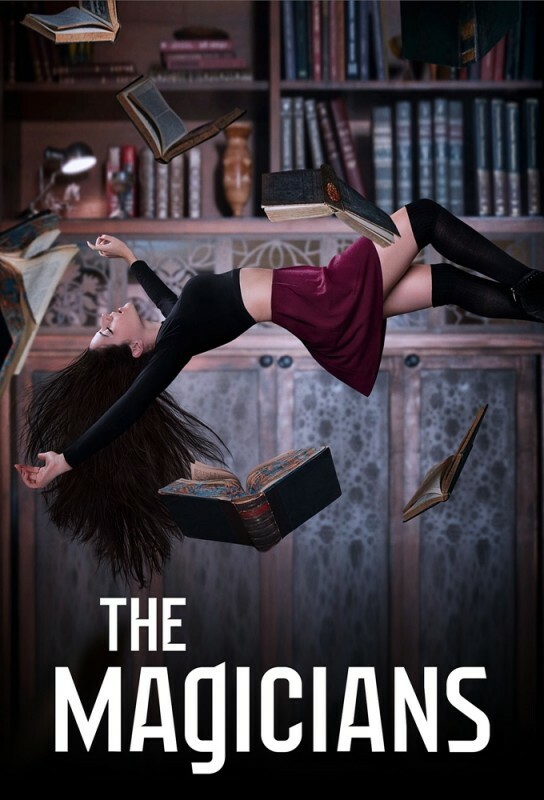 Brakebills is thrown into chaos when Penny is violently attacked by someone who was considered a friend; at the same time, Quentin tries to find a connection to the Beast; and Julia considers giving up magic for good after entering a rehab facility. When Alice and Quentin learn that Penny read the 6th Fillory novel, they make him tell the story. And it's a doozy. Quentin, Alice, Eliot, and Penny travel to England in search of a missing magic button. Julia searches for real meaning in her magic. Quentin and the others learn battle magic as they prepare for a showdown in Fillory. But this challenge leads to building frustrations...pushing some apart and others together. Julia and Kady take on a mission with the Free Traders that may push them too far. The students wake up to foggy memories and regret after a night of drinking; Penny reminds everyone that their lives depend on getting to The Neitherlands. Quentin and Julia arrive in Fillory and try to catch up with the group, who are more than 70 years ahead of them, in the search for The Beast.